The Queer "Left Behind" Series! Here's what Sensual Romance says about the novels of Susanna Valent: "Though there is action and lots of violence, the characters are all three dimensional and sympathetic. There are no heterosexual sexual encounters in [her] books." And now Susanna Valent's talent and daring take her to a whole new level in The Amazons Quartet, a four-volume saga of Sapphic passion and resistance in the face a new male-dominated future tyranny. In Book 1: Strong to Save, the U.S. is being turned upside down by a government taken over by the extreme right-wing elements of the Republican Party, an Islamic coalition, and a fundamentalist church. The most conservative, misogynist elements of society join to crush women and liberals -- especially feminists, lesbians, transgender people, and gay men. The four freedoms of the Bill of Rights cease to exist for the disadvantaged portions of the population. New laws are depriving women of their social, political, financial, personal rights -- even the right to control their own bodies and fates as they are increasingly confined to the domestic realm and husbands gain complete legal power over their wives. Women who dare to appear alone in public are being increasingly physically threatened by women-loathing men of every description. Along with every other woman in the country, charismatic, dynamic Coast Guard Captain Kris Nordstrom, a lesbian, she is given the heart-breaking choice of being fired or resigning. At the same time, Kris is still haunted by tragic loss of her first and only serious lover. Meanwhile, her closest friend, Andrea Santiago, another career woman, has also been forced from the Coast Guard, is secretly in love with Kris and is plotting a way the two of them can escape to the West Coast, which is the least restrictive location in the US and still safe for women, feminists and liberals. As the U.S. borders are sealed, will Kris and Andrea be able to escape, or will they end up in prison? 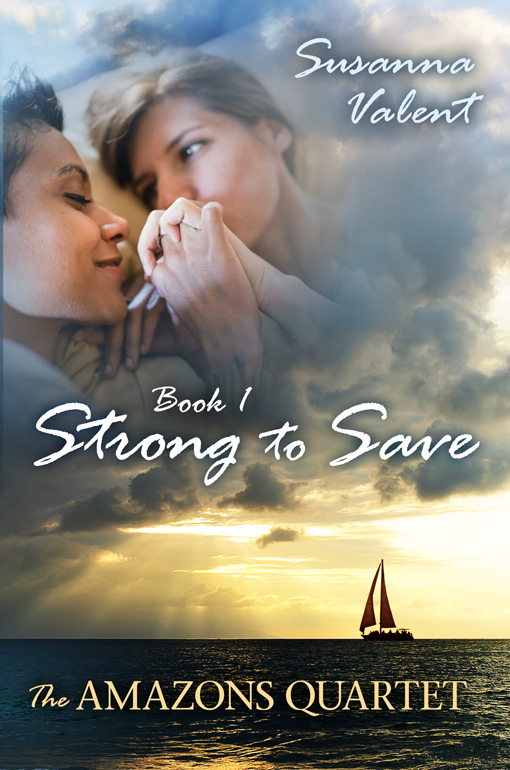 Will Kris find a way to help her young, lesbian niece, and should she interfere? In future volumes of The Amazons Quartet, Kris finds two lovers, and together they will gather many more women who can't tolerate the new fundamentalist dominated U.S., and instead, they create a culture at sea where they and their children will be free to live their lives without fear of oppression and violence.